As people mature, they start to recognize the benefits of downsizing their homes and moving into an independent senior living community. These communities can offer customized senior apartments with upscale features and amenities, as well as common areas to gather with friends and family. Transitioning out of the home you have lived in for many years can be a bittersweet and emotional process, but many seniors report that moving into a retirement community was one of the best decisions they ever made. They trade in the hassle of maintaining their homes and lawns for the ease and comradery of community living. That’s one of the reasons many seniors choose to make the switch – because senior living communities make day-to-day living as easy and maintenance-free as possible. They offer relief from some of the burdens of home ownership, as well as provide peace of mind that future healthcare needs will be met when necessary. When you don’t have to worry about taking care of a home and don’t have to worry about the dangers of being alone in the event of an accident, you can embrace everyday life more. Healthy dining options. Cooking can start to feel like a chore, which makes healthy eating more difficult. 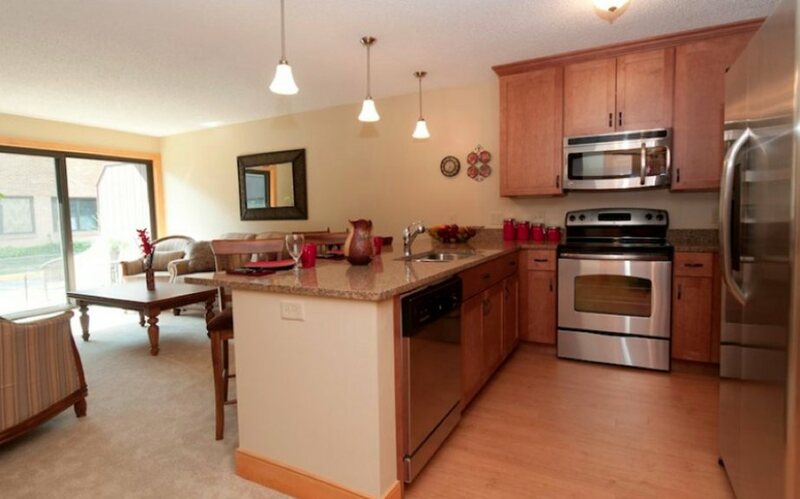 These burdens disappear at a senior living community. You’ll enjoy restaurant-style dining with a variety of nutritious and delicious food options that can be customized to your health needs. Transportation. This is a wonderful amenity! Many senior living communities offer transportation to scheduled events or locations around town, including doctor’s appointments. While most independent living communities do provide parking for your car, you can also sit back and let someone else do the driving from time to time. Professional services. Along with exterior home maintenance, many senior living communities offer professional housekeeping services and other on-site services like beauty or barber shops, dry cleaning, laundry, and even groceries delivered right to your door! Access to additional services or healthcare. Should your health needs change over time, you will enjoy priority access to additional services like, rehab therapy, assisted living or memory care . You’ll have peace of mind knowing that you will receive the right amount of care you need, exactly when you need it. Less home maintenance. Maintaining the yard and exterior of the home can become difficult as we age. Cutting the grass, shoveling snow, cleaning the gutters, or dealing with leaky roofs are all tasks you won’t need to worry about in a senior living community. Opportunities for social interaction. Staying socially active is as important as staying physically active. Social interactions with peers can boost your mood and keep your mind sharp. 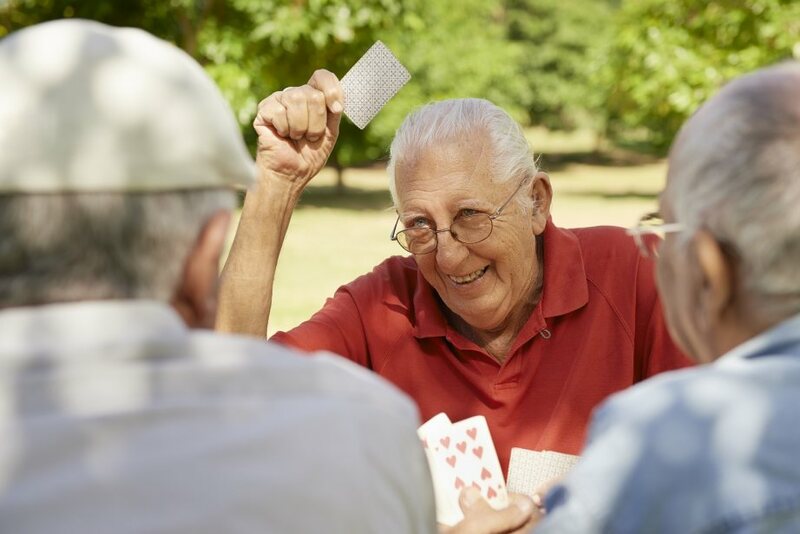 Senior communities offer a variety of scheduled events and activities that you can opt into to promote those vital social connections. Wellness programs. Senior wellness programs promote a healthy mind, body and soul. Senior living communities often include on-site fitness centers with exercise classes designed to meet your specific fitness needs. Plus, many communities offer opportunities for lifelong learning through seminars, classes or guest speakers to keep the mind active and engaged. 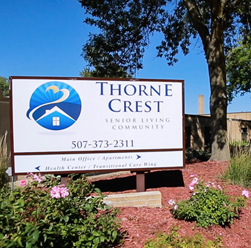 For more information about senior living in southern Minnesota and the options available at Thorne Crest, contact us today at 507-373-2311.